Positive energy creates positive outcomes. But how do you get the good vibes going? It all comes down to understanding and embracing the innate and energetic power of your soul. It’s time to tune into the positive vibrations that exist within you, and around you. You can rise above negative influences, reclaim your power, and manifest a life that is easy, joyous, and inspired! "Being a yogi, I really like this book. It’s an easy read with techniques to invite positive energy and gratitude into your life." "This is has become a book I cling to when I'm in serious need of positive reinforcement. Let Tanaaz Chubb guide you on a journey of self-acceptance and self-love in a series of chapters filled with motivational mantras and exercises that instill positive thinking in every aspect of your life, from relationships with others, to conquering internal battles." 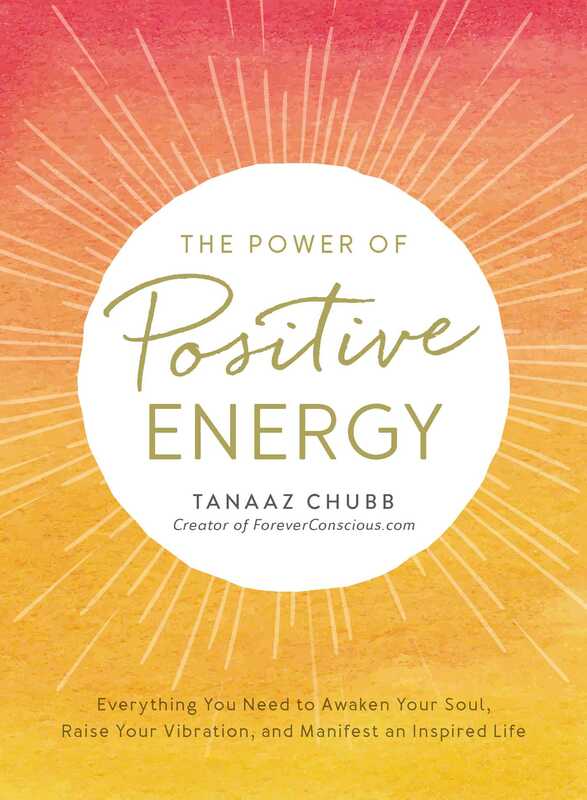 "Tanaaz Chubb, founder of ForeverConscious.com, shares a variety of activities and affirmations that can empower you to manifest gratitude and positivity. Through these exercises, you can adjust your auras to emit calm, peaceful and positive energy instead of unhappiness or stress. Whether you’re seeking improved relationships, professional success, or a quest for personal fulfillment, The Power of Positive Energy can help you rise above negative influences and begin your journey of spiritual well-being and healing."